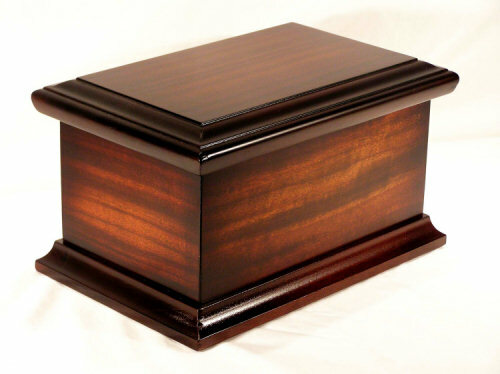 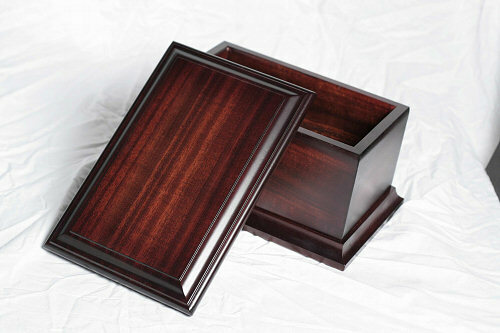 We are now offering a line of memorial urns and cremation urns, beautifully hand crafted from select mahogany and maple hardwoods. 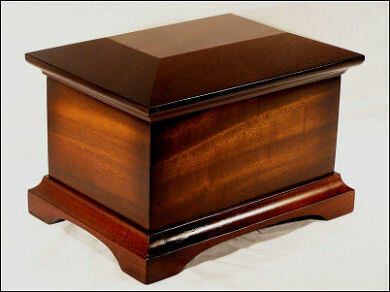 All of our urns have an interior capacity of 210 cubic inches. 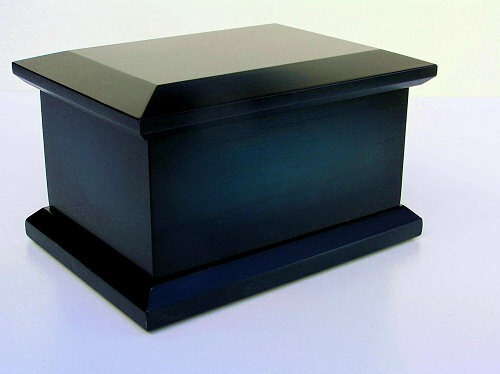 Their exterior dimensions are 8” wide x 11” long x 6 3/4” high or 8” high, which allows them to fit in the niches of most columbariums. 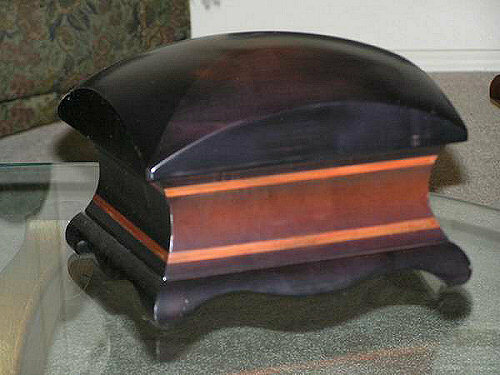 They are beautifully finished with a durable catalyzed lacquer. 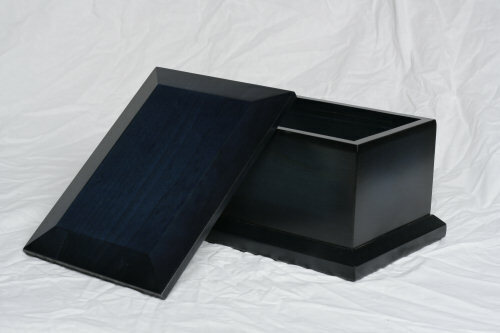 After placing the ashes inside, the lid may be securely and permanently sealed by removing the protective strips from the high tack, cushioned, double stick tape in the grooved underside of the lid and pressing down firmly. 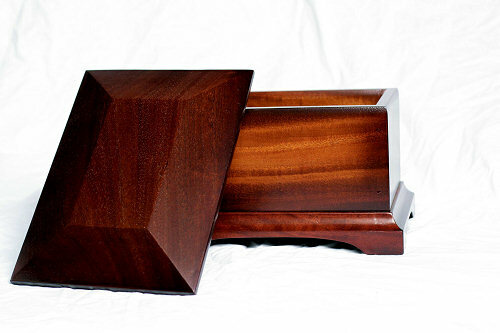 No tools or additional products are required.